Enjoy listening to my healing music for meditation, relaxation, inspiration, spiritual healing and well-being. You can listen to all my music online here for free. If you purchase and download the music, you can get the high quality recording and, with the free bandcamp app for iOS devices or the free bandcamp app for android devices, you can enjoy the purchased music directly on your mobile phone or tablet, so the music is with you everywhere you go. In addition, if you purchase my music, you can use it as background music for your own videos, therapy sessions, yoga classes, recordings of guided meditations, etc. Just pay what feels fair to you, in accordance with the nature of your project and give appropriate credit to the composer (e.gr. "Music by Javier Ramon Brito") in the credits of your project. That easy. 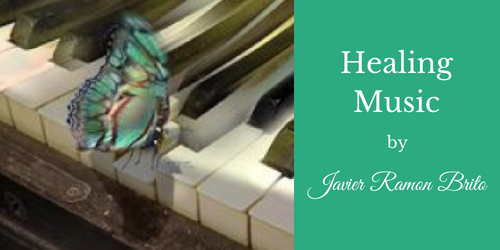 See the allowed uses of my healing music as background music for your own productions, royalty-free. The albums in this first group are meditation healing music albums. They contain inspiring, relaxing, calming and soothing music that provides nourishment to your soul. Each album has several healing music tracks.